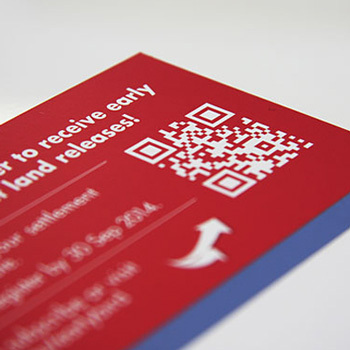 The benefits of using QR codes in your marketing communications. QR codes are two-dimensional barcodes that enable advertisers to track the effectiveness of advertising & marketing campaigns through reviewing analytics in real time. QR codes – an introduction. QR codes provide a trackable short cut to a specific website address. If you’re not familiar with QR codes, they are two-dimensional barcodes that can be read by a smartphone’s camera via a QR-code scanning application. You may see them on a range of marketing communications such as, outdoor and press advertising, sales brochures, product literature and packaging. Traditional barcodes can hold up to 20 numerical digits and are one-dimensional codes. In contrast, QR codes are two-dimensional and have capacity to holds thousands of alphanumeric characters as information. So their ability to hold more information gives them an edge over barcodes. Also, a traditional barcode can take ten times the amount of screen or print space as a QR code holding the same amount of information. QR codes can be read in 360 degrees, in any direction, which eliminates background issues. When you scan a QR code on your camera-enabled phone, you can activate a number of phone features such as SMS, email, link to content on the internet, track the price of a product, connect the device to an internet browser, and perform many other functions. When customers scan a QR code on their phones, they are able to access a range of information and are instantly directed to a web link or content for coupons and special offers, product information, surveys and video clips, sending or text or email messages, promotional or informational videos, checking in via location-based apps, and more. The phone needs a QR code reader, the majority of QR code scanners are completely free, and all users need to do after they install one is use the mobile’s camera to scan the QR code, which will then automatically load the encoded data. Once the camera processes the code, the QR code scanning software examines the black and white squares in the code’s data section and outputs the information contained within. Benefits of QR codes – for end users. A QR code in use on WesCEF’s recruitment literature. As an end user, you get instant access to more details about a service, product or initiative by just scanning a QR code. Most QR codes will provide a shortcut to online content that’s updated in real-time, thereby removing the need to remember long addresses. And you also get to keep a digital archive of this information and go back for referral at any time. Speaking of real-time information, imagine waiting at a bus stop in wet weather, wondering why your bus hasn’t arrived. Is it delayed from schedule? How late will it arrive? Is your stop been cancelled for severe weather? Germany’s Frankfurt city took advantage of QR codes to offer commuters a viable alternative to waiting in the cold. Posters offering QR codes can provide travellers real-time information about their train and bus routes. Benefits of QR codes – for marketers. 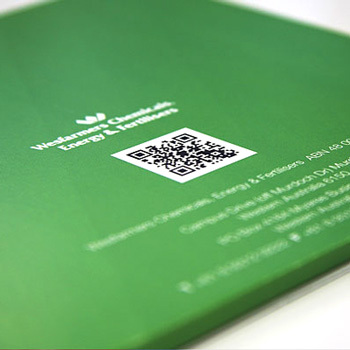 As a marketer, you can provide more information to the user with QR codes and keep that information up to date. For instance, you may wish to start a campaign where you offer daily promotions depending on the number of engaged customers. With QR codes in your print and online adverting, you can provide users with a link to a website that is updated frequently based on the number of users scanning the QR code and to the website featuring the campaign. Marketers also get to track users and see insights the effectiveness of marketing campaigns through reviewing analytics in real time. You can measure the total number of users and analyse their behaviour at a very low cost as QR technology is free to use and can be published to any desired media. QR code technology is proving to be a powerful tool when paired with an innovative strategy and a focus on user experience.